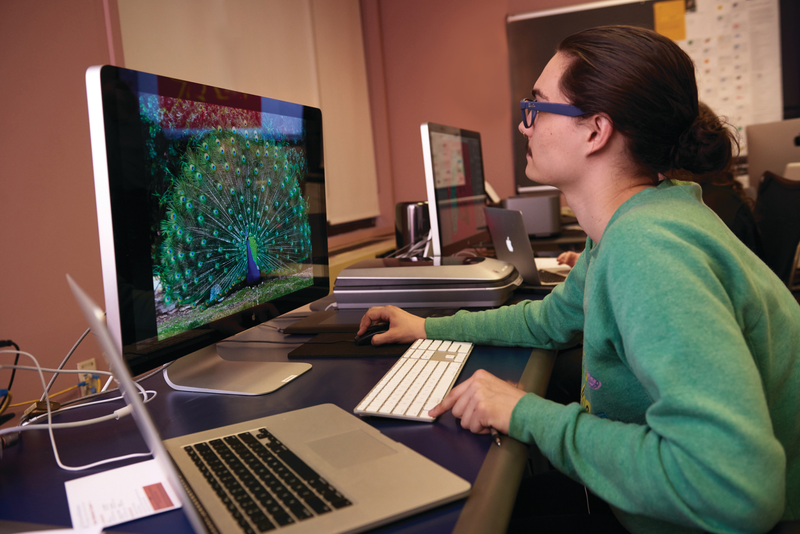 The Digital Design De-Constructed Workshop is a digital media experience in the MMC state-of-the-art Mac computer labs. The students use Adobe Photoshop to create montages inspired by their own self-portraits. Join Graphic Design Professor Jim Holl for a hands-on, head-changing, digital media event! Register: No fee, but registration required. Only eleven seats available, sign up now!